4693 South Zenobia Street Denver, CO. | MLS# 7525078 | Assist-2-Sell, We Sell Colorado - An Experienced Team of Discount Realtors. Classic well maintained home in coveted Bow Mar Heights. Large yard has beautiful mature landscaping. Living room has beamed vaulted ceiling. Open kitchen has breakfast nook and convenience desk, is adjacent to formal dining room. Family room has brick fireplace, opens to tranquil sun room which has A/C and opens to flagstone patio terraced with flagstone planters and retaining wall. Upper level has a quite large master bedroom with 5 piece en-suite bathroom, 2nd bedroom, full hall bath, spacious office with French doors could be a 3rd bedroom. Large living room has Bay window with sitting bench. Plantation shutters. 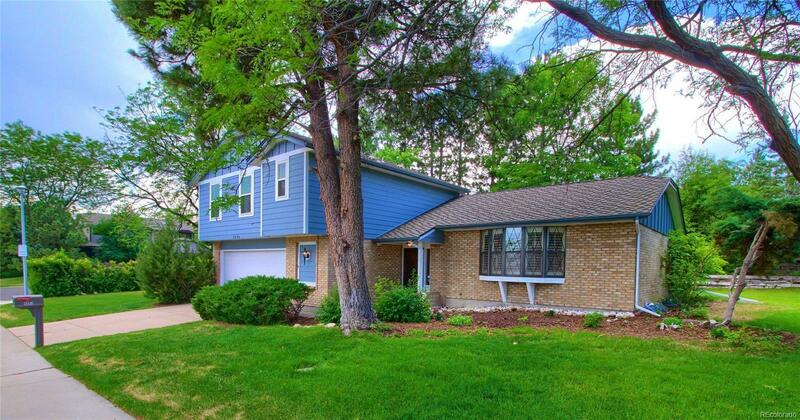 Finished basement has large recreation room and office or non-conforming 4th bedroom. Quiet neighborhood, large lot on the corner of two dead-end streets. Seller states this was the original builder's model home. Very easy access to extensive shopping options, many restaurants, lots of parks and open spaces, Downtown Denver, and the Mountains. You'll love living here. The content relating to real estate for sale in this Web site comes in part from the Internet Data eXchange ("IDX") program of METROLIST, INC.DBA RECOLORADO® Real estate listings held by brokers other than Assist-2-Sell We Sell Colorado are marked with the IDX Logo. This information is being provided for the consumers' personal, non-commercial use and may not be used for any other purpose. All information subject to change and should be independently verified.